Born in Mbale but raised in many nations, Isaiah is a unique combination of multi-cultural influences and experiences. He has been writing songs since the age of 16 and his songs are a great blend of a variety of genres- including, African Percussion, Folk, Soul and Afro-Jazz. Isaiah began taking on solo projects but eventually after attending a number of arts and musical workshops held by Bayimba cultural foundation, The Uganda music Awards academy and finally he was able to put together a band (E.Band). Isaiah Destiny worked with many producers and collaborated with many other artists to release his first EP, titled “Inzala”, in 2012. Which became a famous single, taking over airwaves at that time. In 2016 he release his first album titled Tsimbekha Tsibili which had robust melodies that took the country by storm. That same year he put up am amazing album launch at Café Arabica which was a great success. Last year, Isaiah Destiny headlined at the Laba Arts festival (2017) in Kampala (Bukoto street). His single ‘MBOLELE’ was nominated in the TUMA awards in the category of Best regional artist (Eastern) and on the 4th of August, he was awarded as the Regional artist of the year in the TUMAs (The Uganda Music Awards) Isaiah and his management, finalized his 2nd album, ‘ THE GIANT IN ME’ which was released on the 28th of July 2017 at the GIANT IN ME CONCERTS. The concerts held on the 28th at casa del turista and 29th at El-tanjia rooftop were such a great success and 10% of the proceeds went towards renovating the latrines and urinals of El shaddai nursery school in Bumufuni,Manafa district Isaiah is the director of GIVE A HAND 256 (GIHO),a community based organization based in Manafa district and a secretary in My Voice foundation a project that looks at improving and developing skills of street children in the country. Isaiah’s carefully woven lyrics bound with simple, robust melodies act as a driving force that makes music be a personal life experiences. He always learns from the lessons each one provides and is so happy to pass on to others. 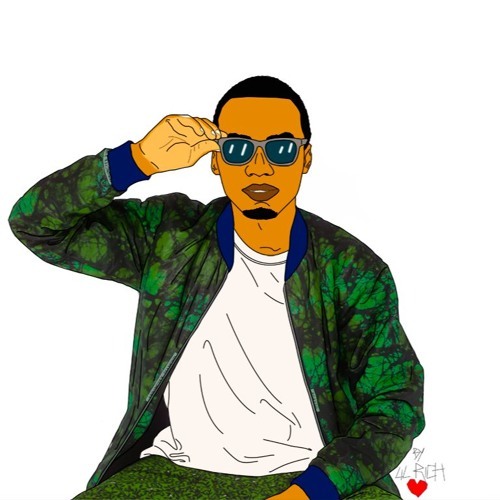 A subtle cocktail of diverse styles, cultures and dynamic team has been the powerhouse for Isaiah Destiny not only to compose good music but produce master pieces. Isaiah loves to live, to learn, help others to heal, to teach, to explore, see greatness in others and is passionate with life. I’d say a man on a mission redefining my path. On the 26-Oct-2018 Isaiah hosted a successful 3rd edition of the Giant in me concert and on the 2nd-Nov-2018 he put up a breath taking performance at the Karibu music festival in Bagamyoy Tanzania Through his discovery of music, he found his form of expression while instilling a passion that continues to develop every day.